The first recipient of “The Heart of the Lion” award, a staff recognition program, is CLS Teacher John Brase for his dedication to bringing Special Olympics to YHS. Special Olympics will not only benefit our most cherished students but will also allow our other students to serve and support them. A big YHS Lions roar to Mr. Brase! YHS Respect Students of the Week! Here are your 1st quarter 4.0 students from Yerington Intermediate School!! Not pictured: Beck Merrill, Ariana Ramirez, Jordyn Stutts & Jayden Webb. Recently, the YIS Drama Club presented Peter Pan to students in the elementary and intermediate school. Over 750 students, teachers and families attended the performances. Congratulations to the cast for an amazing performance! 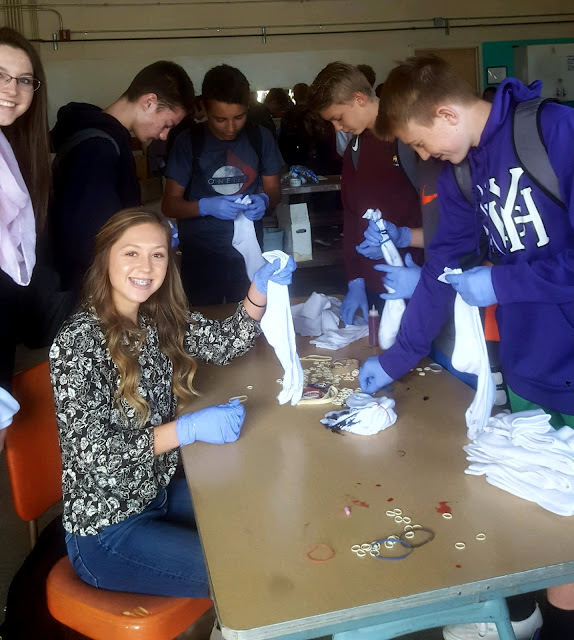 Yerington High School Link Crew had a Tie Dye Day where all freshman got to tie dye a pair of socks! Link Crew is a program aimed at helping the incoming freshmen and current freshmen transition seamlessly into high school - tie dye socks are just one of the many fun activities they do throughout the year! This statement is in response to the reporting of the Reno Gazette Journal in the Sunday, November 19, 2017 Edition and is to correct inaccuracies in the reporting and to provide a factually accurate description of the reported events and the response of the Lyon County School District to these events. It is to insure to all our parents that all students/children in our District are valued and protected in the educational setting. Thanksgiving Feast and Dinner at RES! Check out all the cuteness from the Thanksgiving feast with RES first grade and kindergarten! SSMS 8th grade and SSHS students were able to roam around and get information from many different career paths, military and some schools! Veteran's Day celebrations - a great tradition throughout LCSD schools! 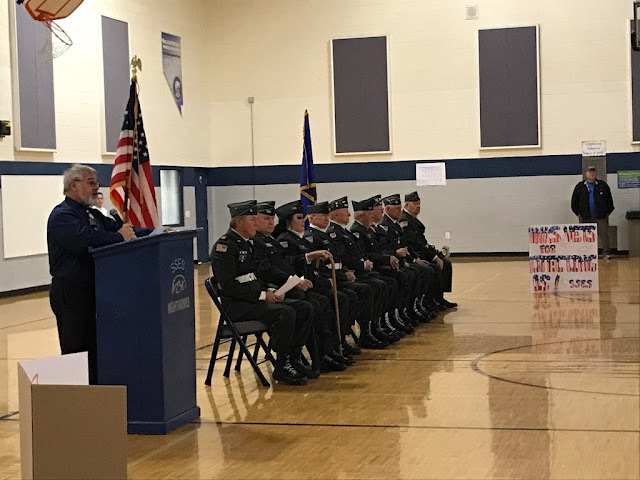 Celebrating our Veteran's is a great tradition that many of our schools have adopted into school-wide assemblies where local veterans can come and be honored by the students and staff. As we enter into the Thanksgiving holiday, here are a few more photos of some of the celebrations that took place. Thank you, Veterans, for your service! SSES and SSMS celebrated Veteran's Day in a joint assembly! 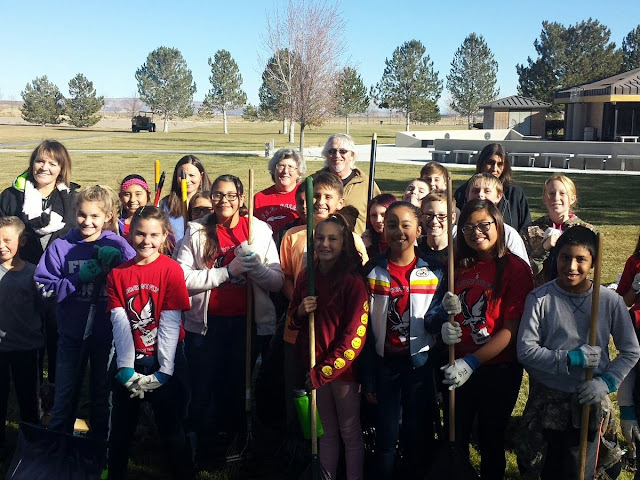 FIS students clean up the Veteran's cemetery!